Are you really brewing and distilling if the PicoBrew and the PicoStill—marketed as Keurigs of homebrewing—are doing it for you? The recent PicoStill attachment, which features a copper coil and glass infusion chamber, can be used to create essential oils, waters and spirits. Photo credit: Facebook/Picobrew. And are you a food and drinks professional? We hope you’ll consider joining the Edible Collective and you’ll be joining the Edible Community. 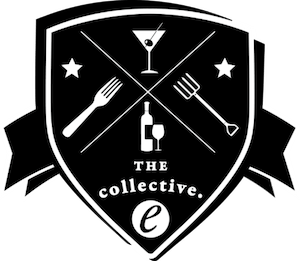 The Collective is made up of the people who make what we eat and drink. The Collective‘s goal is to create a culture of collaboration up and down the food and drink chain. Think of it as a roundtable where bartenders, chefs, makers and farmers share ideas, education, enlighten and enhance skills. It’s no news that the craft beer and liquor markets are booming. The American Brewer’s Association reported that in 2016, there were over 5,000 craft breweries and 1.2 million homebrewers whipping up batches of juicy IPAs and chocolatey stouts across the States. Similarly, a 2015 report found that the number of licensed distillers tops 1,200, triple that in 2007. But with great trends come a great number of related gadgets, which can be either utilitarian or useless, depending on who you ask. The PicoBrew and the PicoStill, a countertop mechanized homebrewer and its distilling attachment, are such gizmos. Since its initial rollout in 2010, the PicoBrew has been marketed as the Keurig of homebrewing: a quick, clean, simple and possibly even cheaper alternative to traditional homebrewing techniques. The recent PicoStill attachment, which features a copper coil and glass infusion chamber, can be used to create essential oils, waters and spirits. It should be noted that, unlike homebrewing, distilling liquor at home, a.k.a. moonshining, is illegal almost everywhere except New Zealand. In light of the PicoBrew’s recent Kickstarter campaign for the Pico C model (and the PicoStill attachment), we spoke with brewers and distillers to hear their thoughts on the PicoBrew and the PicoStill. Edible Brooklyn: If someone was interested in beginning to homebrew, or hypothetically interested in urban moonshining, would this be a good starting point for newcomers? Colin Spoelman, co-founder and master distiller at Kings County Distillery: I think it’s a good starting point. Any starting point is better than none. You’ll probably learn more if you get all the equipment and do the traditional brewing, but that’s the same for the brewing side: Are you homebrewing to learn how to brew, or just to brew beer that’s brewed? People who have never done something before become afraid of even trying, and this product is the perfect crutch, which is like instead of learning how to homebrew, I’m going to push a button. Instead of learning how to distill and all these nefarious pathways to do that, I’m going to use this device. Also, you don’t know why it happened. There’s so many different discussions about mashing temperatures, different sparging methods, and you are entirely cut off from that. That’s really what I know homebrew culture to be about. Greg Doroski, head brewer and partner of Threes Brewing: It’s a cool little device, but without a temperature control on the cellar side, its benefits are greatly diminished. Yeast is very very sensitive to fermentation temperature, and most have about a 5 degree ideal temperature range. Uncontrolled temperature fluctuation during fermentation leads to the production of off-flavors and aromas. EB: What are your thoughts on the legality of selling this equipment to unlicensed distillers? CS: I think people experimenting with their own distillation become much savvier smarter consumers. I’ve long been an advocate for home distillation, aka moonshining and I actually believe it’s a law worth breaking. DK: [It’s possible] you will get this popularization of an illegal activity. That isn’t going to look well. As a small distiller, I understand the annoyance and expense of starting up, but if you read through the comments section, people don’t know what they’re talking about. People have been doing home distilling on their own, but now you’re giving people the ability to do something they shouldn’t, because they have the ability. EB: Do you agree that this would be useful for distilleries’ commercial test batches? CS: Whiskey derives a lot of its character from its process and the sequence and the equipment and how much copper there is and temperatures—all that. To what extent [the PicoStill] can replicate all its variables is hard to say. I wouldn’t be surprised if you came out with great white spirit, but typically people like to age it. If you’re starting with 5 L of wash, or distiller’s beer, you’re probably going to end up with 500 mL of spirit. Okay, that’s a half bottle. It’s very hard to age spirit that that’s tiny amount. DK: Scaling from such small batch sizes also presents its own problems both in terms of margin of error with such small quantities to start, and also unique small system characteristics. Since batches are so small, one is probably dealing in tenths of grams for hop additions. Say you are off by 0.5 grams on a 5 gallon batch. Scaling to 500 gallons you would be off 250 grams. For a 60 minute addition, this could be a swing of more than 15 IBUs.